You probably know that our body needs protein, lots of it, which is why your mother nags you (and now you nag your kids) to drink more milk, eat more meat, eat more eggs etc. In my earlier post, I shared why Jia Hor Soya Protein makes such an excellent source of protein supplement for our daily requirements. Do you know what are the roles and importance of protein to us? 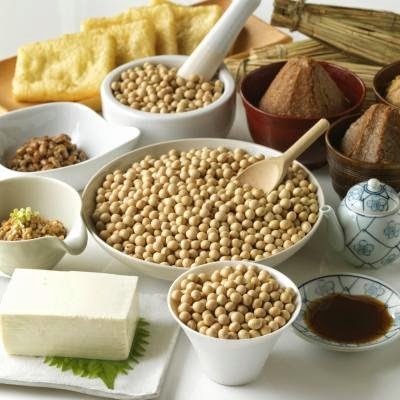 Read on to find out why Jia Hor Soya Protein is so unique, and what are its functions and benefits..
1. Function: Consuming sufficient protein helps promote the growth of healthy cells, for our skin, bones, muscles, hair, eyes and all our other body organs. Benefits: This will help us maintain a strong and healthy physique. 2. Function: Jia Hor Soya Protein provides high quality protein food with high absorption rate of up to 95% and assimilation of nutrients. Benefits: It gives us a smoother skin texture and more radiant complexion. Jia Hor Soya Protein is quick and easy to consume and gives us instant energy. It is great for the elderly and vegetarians. 3. Function: Promotes brain cell growth and improves our memory. Benefits: It helps us to be more alert and focused and delay the degeneration of our brain cells. Jia Hor Soya Protein is very good for a healthy baby brain development. 4. Function: Repairs our body cells and re-constructs damaged tissues of organs and glands. Benefits: It improves our gastric condition and repairs our stomach lining. It prevents stretch marks for pregnant ladies. For people who have just undergone surgery, it helps in the rapid healing from surgical wounds. 5. Function: Helps remove fats and cholesterol in our blood vessels. Benefits: This results in a healthy cardiovascular system and improves the elasticity of our blood vessels. Jia Hor Soya Protein is excellent to help achieve an ideal body shape and weight. It is very effective to reshape our body figure after pregnancy. Please click on this link for more info on Jia Hor Soya Protein. Email me at askfuiping@gmail.com if you want to buy. I am an Authorized Distributor of Shuang Hor.